Financing included a $50 million senior construction loan provided by Natixis bank and $16.2 million in preferred equity from EverWest Real Estate Partners. 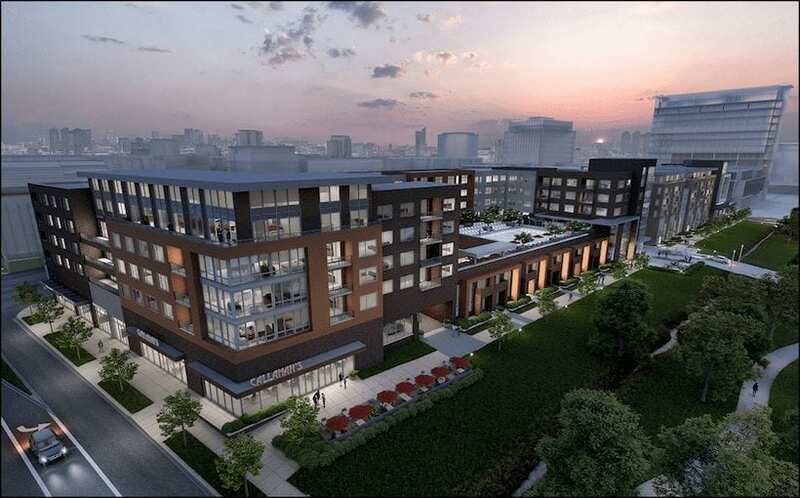 Minneapolis-based Sherman Associates received more than $66 million in construction financing for its Ascent Apartments, a planned 255-unit community in the new Downtown Westminster project. Financing included a $50 million senior construction loan provided by Natixis bank and $16.2 million in preferred equity from EverWest Real Estate Partners. EverWest advised one of its investment clients on the investment. Baxter Fain and Ken Dayton led the JLL Capital Markets team on the transaction. “The location of the project, which is roughly equidistant between downtown Denver and Boulder, coupled with the increasing Denver population and employment drivers, will ensure a successful lease up once completed. Also, the quality of the Sherman development team as well as the support from the city of Westminster, will further enhance the success of this project,” said Joe Chickey, senior director at EverWest. The five-story apartment project is part of the 105-acre site being developed into a mixed-use urban downtown in Westminster. Ascent Apartments will include 25,000 square feet of ground-floor retail, a fitness center, dog wash area, game room and two separate outdoor amenity decks that feature swimming pools, hot tubs and grilling areas. The project also is adjacent to the Flatiron Flyer express bus stop and to Westminster’s future light-rail station. The Downtown Westminster project will comprise more than 2,000 residential units, 2 million sf of office space, 75,000 sf of retail space and a 300-room hotel. Sherman Associates has completed close to 10,000 residential units. “We are excited to be part of the creation and development of a new downtown for the city of Westminster and we are impressed by the commitment of Sherman Associates and the city of Westminster on this long-term plan,” added Zi Chong, associate at EverWest.